Normally around this time I would be posting a semi-comprehensive preview of our season, much like my illustrious former co-blogger, Jovan, did last year. But with so many questions hanging in the balance and our first match to be played before the beloved Milan holiday, Galliani Day™ (August 31st), it makes that task impossible. So I give to you the Blankety-Blank-Blank Season Preview, and we’ll let the club fill in the blanks come September 1st. Okay, so more than half the club left. Don’t think that’s news, and it would take this entire post to list them, so check out the sidebar if you’ve forgotten who has left. As for arrivals, we got full ownership of El Shaarawy straight away, which is an excellent thing. And, it turns out that all in all, I believe we only paid €20m for the kid, which is about the same amount we received for the sale of Ibra. That seems totally proportional, right? But at least he seems like the real deal. 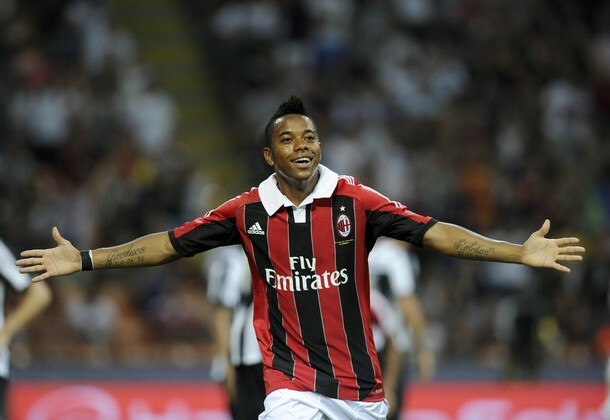 Additionally, with the Cassano-Pazzini swap, we get a 28 year-old prima punta with an eye for goal who will be great with El Shaarawy, possibly Robinho, or maybe even _______________, who is yet to arrive. Also incoming was the leftover Mr. X deal from last summer in Montolivo, Bakaye Traoré from Nancy in Ligue 1, and the long awaited Kevin Constant, all to reinforce our midfield. Constant is a loan and a bit of luck, coming in to fill the 6 month void that Muntari left when he had surgery on an ACL injury. We could also sign _______________ as an attacking midfielder, and Allegri has been asking all summer for a defensive midfielder, so naturally, we will sign ______________________. In the back, we got the 24 year old Acerbi from Chievo and also more recently, Cristian Zapata from Villareal. No way we were going to plug the gaping hole after Silva and Nesta both left, but both have experience in Italy, and Zapata is sure to start, with Acerbi perhaps learning along the way. We also picked up the 19 year old Brazilian keeper, Gabriel, who may come in handy considering the rumors that __________________ might leave. And our elusive left back saga continues with ____________________ having agreed to terms with Palermo. Even though Galliani has said he will not be replaced, with Didac Vila recovering from his hernia surgery, there is a slight chance that __________________ could come to the club and offer some relief. He was the shining star on Allegri's makeshift Christmas tree... will he still shine? You would think tactics would be sewn up, but if _____________________, _____________________, and ___________________ arrive, Allegri could fashion his formation around them. He has been incredibly stubborn about his 4-3-1-2, but after losing the Scudetto, Tassotti came out and said Allegri was considering having a back-up formation. The 4-3-3 was gingerly tried at the end of the season, and more forcefully in the friendlies this summer. However, it was not at all successful, and Allegri said he would abandon it. But the 4-3-2-1 he tried more recently was intriguing. But we can’t know anything until we know whether or not _____________________ or others come. This year’s schedule is even more balanced than last year’s, with only a few tricky back to back games, some overlapping the Champions League, where we should avoid some of the tougher opponents this time. We build up to the derby in week 7, then we don’t hit our triple threat of Napoli, ________________ Champions League match, and Juventus all in the space of 8 days until we get to weeks 13 and 14. But Juve have Lazio, CL, and then face us at that same time, so this year it is a bit more equitable. After that big week, we have until week 18 before we face Roma, who always seem to have our number. If we can keep the injury monster off our backs this year, we have a fighting chance of pacing ourselves and preparing for the big matches. 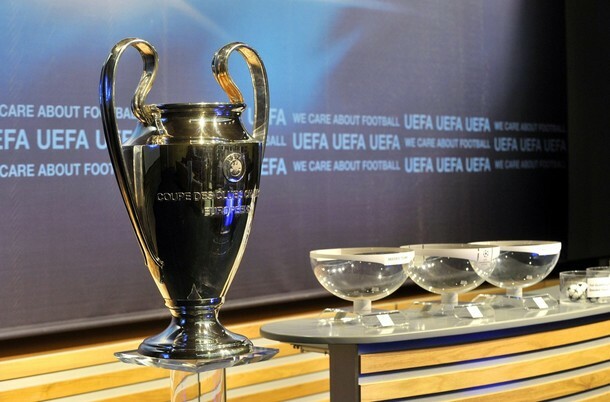 The Champions League draw will be held on August 30th, so it will only be then that we will find out that we are in Group _____ and our opponents will be __________________, ______________________, and _____________________. The blessing of managing to be seeded in Pot 1 will come in very handy this year, as this team lacks the depth of previous squads, even without injuries. The goal according to Allegri is to finish top 3 in the league and get past the group stage in the Champions League, so we can use all of the help we can get this year. So many of our squad are brand new, how they will play on the big stage and how they will manage to compete on three fronts is also a complete unknown. Our opponents have all managed to prevent the Milan Exodus™ from their squads. I would say that Roma have truly done the best in the mercato, reinforcing with players such as Destro, Bradley, and Balzaretti, amongst others. 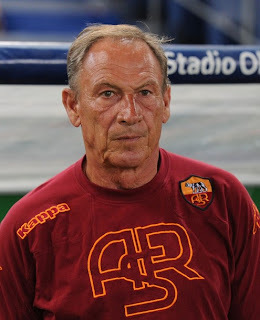 Not only the players, but the return of Zeman, perhaps the most attack-minded coach ever. Juventus took their strength of their midfield and reinforced it with players like Asamoah, Isla, and Pogba. Up front, they brought Giovinco back, and will also be signing ___________________ before the transfer window closes, who should end their scoring drought. Despite the Calcioscommesse distractions, and finding out that Conte _______ be on the bench this season, they have continued to increase in strength and depth, preparing to compete in the Champions League again. Inter most recently practiced their sorcery on Galliani to get us to hand over Cassano plus cash, which came in handy when they added Gargano to their roster, too. But Handanovic might have been their coup d’etat, freezing out the longtime _________________________, who is still displaced with his large wage demands. 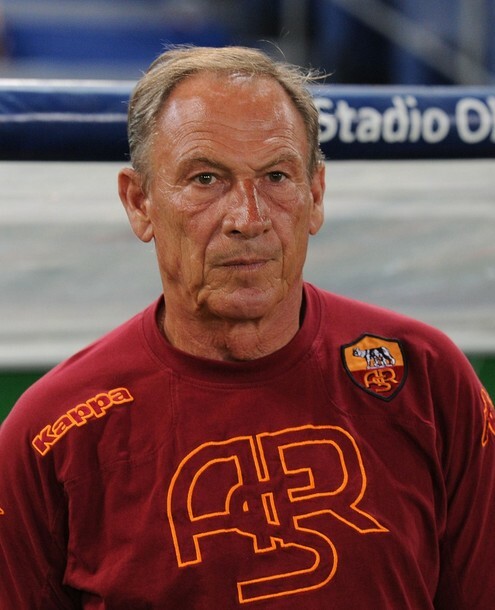 Stramaccioni, Conte, and Zeman have all done well to cut the fat, whereas the only fat Milan cut was in the wage department, so I expect with their reinforcements to have stiff competition unless we get ______________________, ___________________, and/or _____________________ in the next nine days. And don’t rule out Napoli. They seem to have taken over from us as the Serie A Brute Squad, despite some roster changes, they could take us out with sheer brute force. This year’s Serie A is up for grabs, It could easily go to to one of three or four or maybe even five teams. Healthy competition, the way I like it. They won the 45 min. match trophy, will they win the 90 min match season? So much wailing and gnashing of teeth from Milan fans, but the season is here, ready or not. As the roster stands today, without injuries, we will have a tough time filling the FIGC’s new 12 man bench, let alone competing on three fronts. But with reinforcements such as _______________________, ________________________, and _______________________ rumored to be on the way, they might just reinforce enough to see Allegri’s workman-like team reach our top three goal. First up? 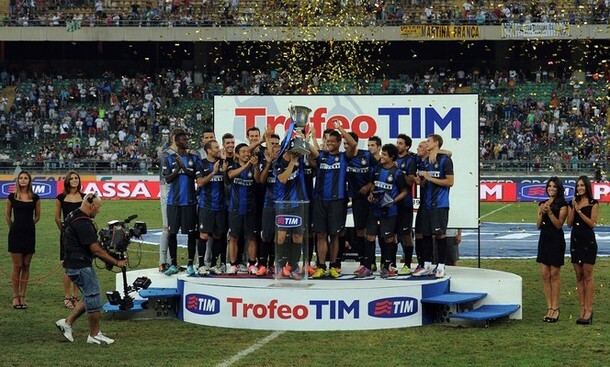 Newly promoted Sampdoria, who just beat Barca’s B team yesterday, so it’s not like we have any gimme matches. But like a phoenix that rises from the ashes, I believe Milan could surprise this year, even if we don’t fill the ____________________ or _____________________ positions. And perhaps we will truly surprise if Galliani surprises us on Galliani Day™ as he is prone to do. Curse the management, love the team, support the colors. If we all do that, I believe our squad will be galvanized and unified and maybe, just maybe, do what Milan is used to doing best: win.